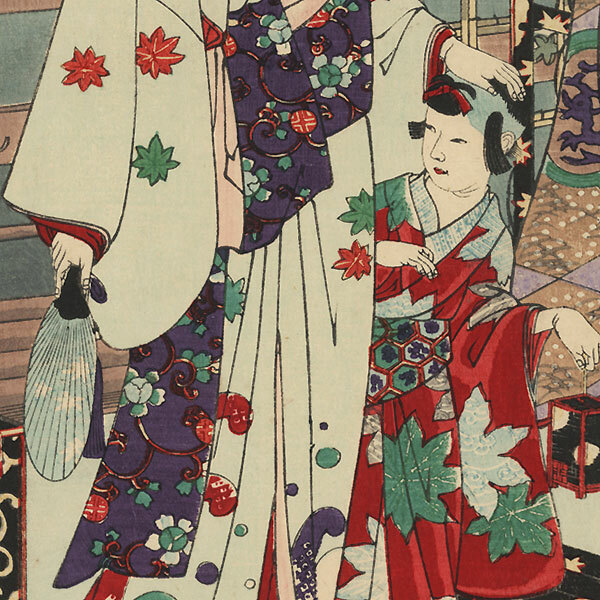 Edo, Moon over the Pleasure Quarters, Takao - Lovely portrait of the elegant Yoshiwara courtesan Takao. 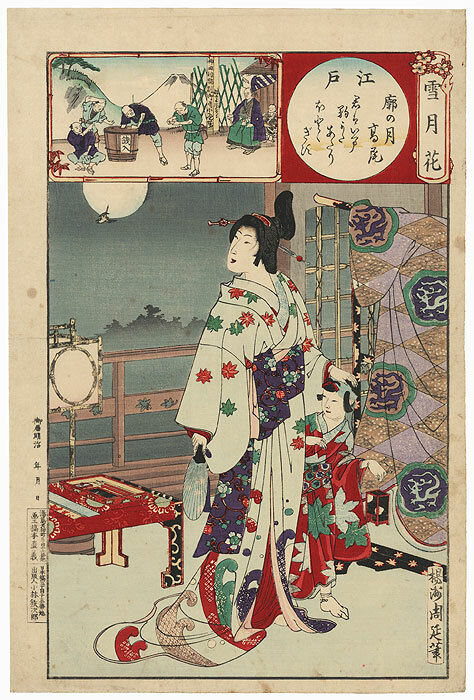 She stands on a verandah watching a bird fly past the full moon, her hand gently resting on the head of her young attendant, who carries an inset cage with glowing fireflies. 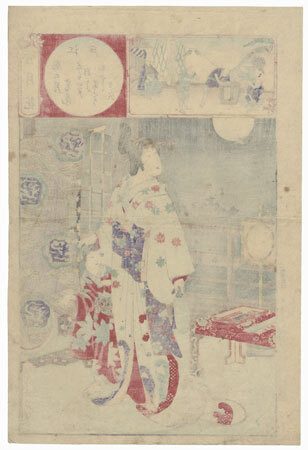 A low table at left holds a writing set and poem slips, while a kimono is hung over the stand at right. The inset above shows men gathered around a money barrel, possibly playing a lottery, with Mt. Fuji behind them. A charming scene. Condition - This print with excellent color and detail as shown. Horizontal centerfold. Slight toning and soiling, a few creases and stains. Please see photos for details.